During the month of May, Retail Action Network organiser, Stefanie Hardman, spoke with the media about the report she spearheaded “Part-time, Poorly paid, Unprotected: Experiences of Precarious Work in Retail, Food Service, and Hospitality in Victoria, BC“ which was released earlier in the month. This media attention provided an opportunity for the broader public to hear more about the experiences of precarious working conditions that workers in retail, food service, and hospitality in Victoria talked to us about throughout the course of the research. It also provided an opportunity to debunk and defend against some of the common arguments that serve to keep workers more severely exploited and without dignified working conditions. Bringing to light the conditions in Victoria of vulnerable workers, as expressed directly by such workers themselves in this report, through the media has been greatly welcomed. This information should be shared as broadly as possible, particularly in Victoria but so too beyond, and thoroughly discussed among workers so we can collectively come up with solutions to these problems we face. 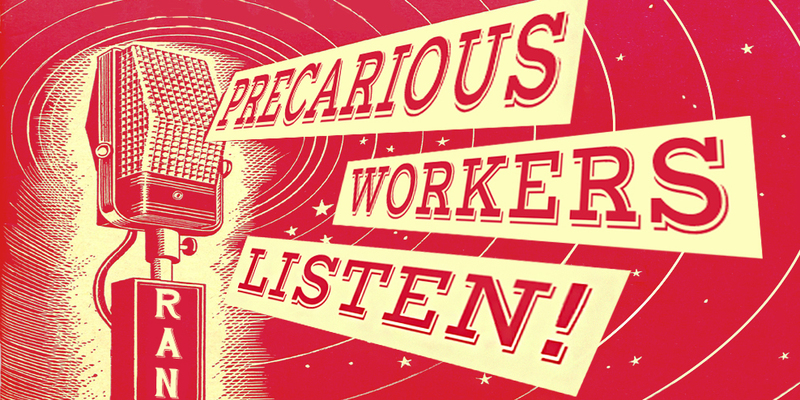 When we workers in retail, service, and hospitality share our experiences with our fellow workers in such precarious jobs we develop a connection and understanding that will be essential if we are to bring about any significant changes to our conditions across workplaces and industries. The Retail Action Network wants to help furthering this discussion, face-to-face with workers, through media interviews, or by any other means. Have a listen below and share your thoughts! Edit — June 20, 2016: There is an additional interview Stef has done, this time with Daniel Tseghay of Rank and File, which can be read here. Here is Stef discussing the report with Robyn Burns on CBC radio’s All Points West, which aired on May 17th. And here is Stef on The Drive with Terry Moore on CFAX, which aired on May 24th. See below for written transcript of this interview. [CFAX] Starting off our program, we’re going to be talking about a report — according to a study that was done here in Victoria, retail workers are poorly paid, often the recipients of abuse from customers — this study that was done deals with the retail sector, the food services, and hospitalities. We’re going to talk with the person who directed that study, Stefanie Hardman. She’s a research coordinator for the Vancouver Island Public Interest Research Group. Let’s get her on the line and see what she has to say about it. Welcome to the program. Thank you for joining us. Vancouver Island Public Interest Research Group. Who are you? [RAN] My name is Stefanie Hardman, I was the research coordinator with “VIPIRG” is what we call it — it is a research organization that looks into matters in the public interest. Issues of inequity come up a lot, and are things that we’ve investigated. One of the things that you’ve found in this study is that in the area of retail, food service, and hospitality workers are under precarious working conditions and they’re working for some of the lowest wages around. Is that essentially correct? That is correct. That’s what we’ve found, and that is consistent with other statistics that we’ve seen. When we take a look at the dollars-per-hour that workers are paid in any of these areas in the course of a day – it’s one of the lowest per-hour payments. But, one thing that we found out as well is that people in the food service business and the hospitality industry is that some of them have a chance to make up to $60,00-80,000 a year in tips. Okay, so if you want to talk about tips, we can think about tips as a wage supplement that’s actually coming out of the consumers pocket. That’s not coming out of the workplace. That’s not a guaranteed wage that’s ensured to the worker. Sure, some people might be very good at their jobs where they work in food service where customers who are coming in have quite a bit of disposable income and are able to provide them with a generous tip. But that’s not often the case, that’s not always the case, and that’s certainly not guaranteed. And that’s not the majority of workers in these service industries. And also, from what I can understand they don’t seem to have any major benefit programs as well. Is that correct? That’s right, that is often lacking. In addition to the low wages, there’s a lack of benefits. Even something like paid sick days aren’t offered to many of these workers in these industries. So they’re required, in order to make their cost of living, to make their rent, to come in sick to work. If you think about someone who is working customer service or food service, that would really benefit all of us if that worker was able to take the day off and not have to worry about their means to survive, not have to worry about having to pay the rent and were just able to take that day to rest and recover, to not transmit that illness. That would benefit everyone. Of course, also, having MSP premiums paid, having dental coverage, paid parental leave — those would all really benefit workers in these industries as well. Here’s the problem you’ve got: In these a lot areas where you’ve got small business and you’ve got the business community looking at this, they say, “wait a minute, if I start paying $15 an hour and all these benefits, I’m going to have to shut my doors.” What did you find out? Right, absolutely, that is one of the most common reactions when we talk about increasing wages and having benefits. But in other jurisdictions where minimum wage has been increased they’re done studies. So, an example: In Seattle, the minimum wage will be increased to $15 an hour. There’s been a research organization dedicated to tracking the changes within these industries and within businesses as the minimum wage is increased and they’ve found that it’s a negligible impact overall. Yep. It’s definitely one of the first reactions. But if we actually look at the evidence — in cases where this does happen how it plays out — the evidence suggests it doesn’t have an impact in the way that people are fearing it might. One of the things that you also found out is that in some cases with some of these workers they’re working in conditions that are quite frankly illegal. What did you find out? For one thing, it should be said that employment standards as they currently exist are inadequate to protect workers with dignified working conditions. But in many cases we are also seeing workers who are being paid below minimum wage, who are not being entitled to their breaks, to their meal break, being asked to come back during the breaks, being asked to come in early or stay late without pay. They don’t pay them for that, either? That’s right. So these are all little ways — there are a whole lot of ways that workers… we call it wage theft, it’s ways of taking from workers expected earnings and earnings they’re working for. I’m running out of time. What are you going to do with this report? In creating it, we were talking with workers. We held focus groups and talked to them. 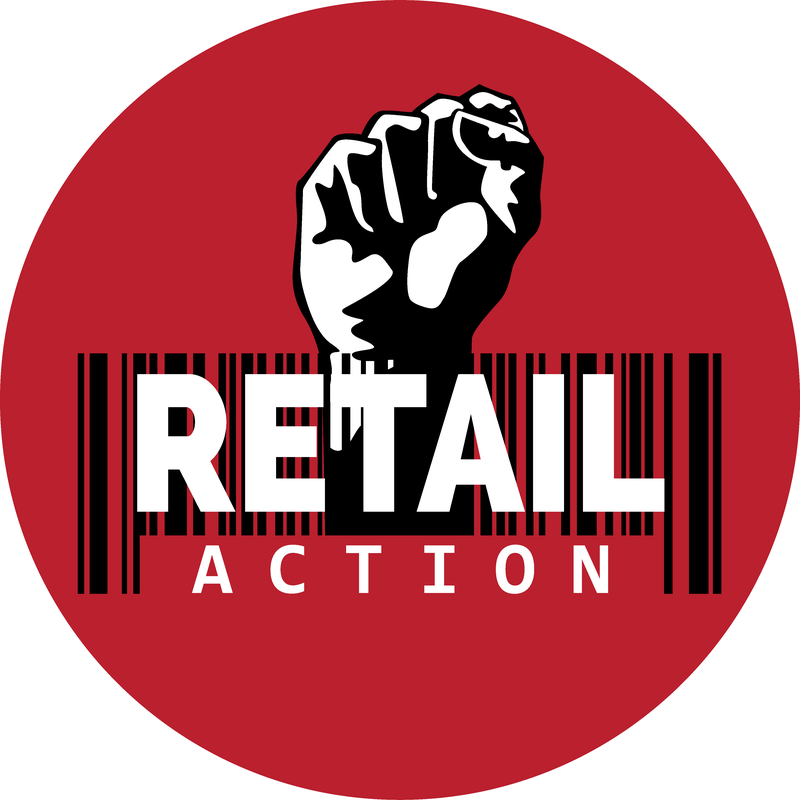 We’re a network of organizers and workers called the Retail Action Network. We’ve been working on pushing for better workplace conditions — so looking to see Employment Standards changed, higher wages, and better working conditions at different workplaces — we’re organizing around this. We have a monthly event called Working Class Wednesday where workers in any industry are welcome to attend, but for workers in retail, food service, and hospitality we have free food, and discussion. We’re building this movement. Are you going to send a copy to the provincial government? Yes, I think we will be. Definitely the Provincial government needs to take action to change Employment Standards and raise the minimum wage.